If you want to give your priceless digital or scanned photos a truly artistic look, then print them onto canvas. Photo printing on canvas is one of the major advancements in the printing industry today. Here at Superchrome, a leading large format digital printing company, we can help you create canvas photo prints utilizing our premium canvas photo printing technologies. Photo printing on canvas is one of the specialized artworks or photo reproduction services provided at Superchrome. Superchrome digital printing facilities comprise ultra modern state-of-the-art printing and scanning equipment which guarantees high image quality, high speed and high resolution printing. Besides, we have the best printing professionals and software experts on our staff. Unlike other printing materials, canvas has an artistic texture with superb color saturation. Photo printing on canvas is a perfect way to enhance your favorite photos. Photo canvas prints are great as unique gifts for any special occasion and will be truly appreciated. 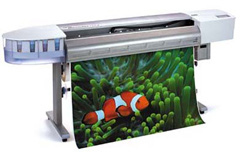 We at Superchrome can print your photos on both heavy and light versions of canvas substrates. We use only scratch resistant, archival grade inks offering rich colors and great print permanence. And these prints are available in matte, gloss or semi-gloss finishes. Superchrome photo canvas prints will last for generations. They ensure color quality, image definition, fade-resistance, smudge-resistance, and water-resistance. We can also provide superior quality stretcher frames on request and lamination services for extra protection for your canvas photo prints. In addition, we also provide retouching, exposure correction, photo resizing and formatting services as part of our photo canvas printing services. Transform your favorite photos into stunning pieces of art by printing onto canvas with Superchrome. You can give us you photos as negatives, digital files or scanned images with your specifications. The major digital file formats we accept for photo canvas reproduction are .JPG, .BMP, .PNG, .PDF, .PSD, .PCX, .EPS, .TIF, .TIFF and .TGA. For details about our photo printing on canvas, please contact us via e-mail or telephone.